Bob was born in Casper, Wyoming. At an early age he and his family moved to the ranch north of Douglas, Wyoming. He grew up on this ranch. He graduated from Douglas High School and graduated from Casper Junior College. He also spent a year at the University of Wyoming. After that he spent a tour of duty in the U.S. Army. In the Army, Bob played all sports, was on the 2nd Army Football team, and also rodeoed throughout the East Coast. Upon coming home from the Army, he returned to the family ranch and married his high school sweetheart, Gail, in 1964. They raised two daughters, Stacy and Noel, and now three grandchildren on the ranch. Bob and his family ranched as he sharpened his team roping skills. He is a Gold Card Member of the PRCA. Bob joined the NSPRA in 1979, going to their first two National Finals in Las Vegas, Nevada, and all the National Finals in Reno, Nevada. Bob has served the NSPRA on the Executive Board since 1992, and has been the Vice President for the past six years. He has been a seven-time World Champion Team Roper, and a Finals Champion, once. In 1990, Bob was named the NOTRA “Man of the Year” and in 2003 was honored with the Kenny McLean Memorial “Cowboy of the Year” award in the Canadian Senior Pro Rodeo Association. 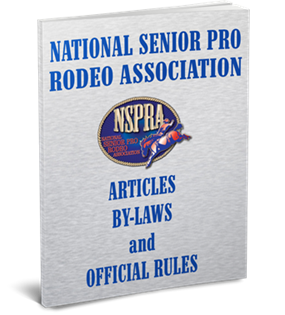 Bob has also been the Arena Director at the Senior National Finals Rodeo the past three years. Bob and his crew have produced the Douglas Senior Pro Rodeo for 15 years and the rodeo has won “Rodeo of the Year” eight times. The dedication Bob has for rodeo and especially the NSPRA shows why he has been elected to the Hall of Fame.